Nine years ago, I was 53 years old with adult children living on their own, pursuing their chosen careers and making positive contributions to society. After more than two decades as a military spouse, I was ready to give up my human resources career and sow my seasoned oats. So what was the first thing I did? For as long as I can remember, I’ve always wanted a pet. My childhood is void of memories with one because my parents weren’t “pet-friendly.” And during those Army years, my hands were full: deployments, permanent change-of-duty-station moves, new jobs and new communities. Maintaining normalcy in that environment, with our two-legged children, was about all I could handle, so a family pet would have to wait – after my 50s; after the children moved out; after my husband retired from the military. When “after” finally arrived, not once did I question taking on the role of a middle-aged puppy mom. As a member of this iconic generation – adults born between 1946 and 1964 – I proudly accept how we have redesigned the culture of pet parenting. Known as the “generation of firsts” in many categories, we are once again the pioneers of the pet ownership explosion in this country. Did you know that baby boomers revolutionized an industry that now grosses more than $60 million a year in pet products? We are the generation who, over time, elevated the status of the family pet. When we were growing up, dogs and cats lived in backyards and slept in outdoor doghouses. They ate table scraps and whatever crawled their way. Veterinarians and immunizations were reserved for the rich and famous. Our dogs ate grass and it seemed to cure just about everything. Boomers have exchanged those old wooden shelters for corduroy-lined therapeutic pet mattresses and brought their furry friends inside. We’ve renamed ourselves as well. 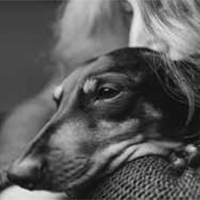 Rarely do we openly refer to ourselves as “pet owners.” The deep emotional connection between us and our domestic animals has helped steer the idea that pet owners are more like parents. Names of endearment such as Pet Parent, Dog Mom and Fur Mom best describe how we see ourselves and others who have a pet in the home. 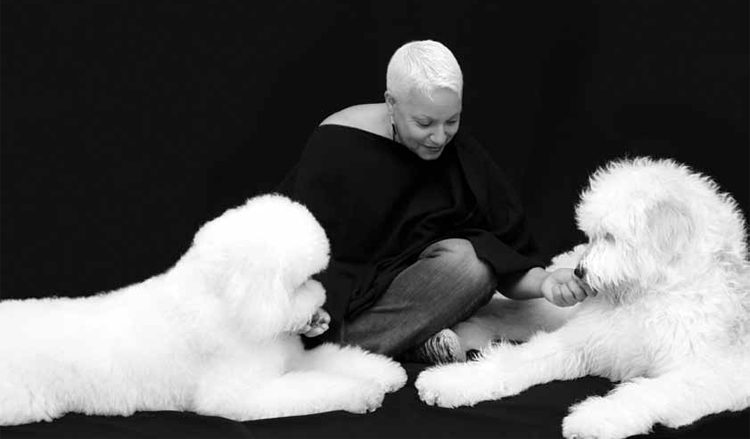 I’m even eccentric enough to use a breed specific name – Doodle Mom. Our domestic animals are no longer “pets.” They are our fur babies, fur kids or simply our boys or girls. We relate to them as family members. They’re our children who happen to be hairier, fluffier and cuddlier and come with a tail. To be honest, our evolution to how we are today has been a bit of a journey. At the tail end of World War 11, President Franklin D. Roosevelt signed the G.I Bill. Who knew the two key elements in this law (education and home loans) would radically impact our society even today. After the war, because the legislation made it easier to pursue a higher level of education, household incomes increased and the zero down payment that went along with a VA loan encouraged many servicemen and servicewomen to buy homes in suburban communities where yards – perfect for pets – were common. My husband’s military career took us through 13 moves in 27 years. After purchasing and closing on a home loan, I could not wait to place steps on our deck, build a fence and find a dog. For many boomers, the decision to bring a pet into the home can stem from an overwhelming desire to parent again. For those (like myself ) with grown children, there is fulfillment in caring for something else. Those who chose years ago not to raise children can feel that same emotion to nurture and love another living creature. For the baby boomer generation, dogs have become the empty-nest fillers. We hovered over our children, and, now that they are grown and gone, we’ve elected to hover over our pets. If you’ve ever spent quality time with a pet, you already know the positive impact on your mental and physical health is enormous. Your impulse to reward them and splurge on creature comforts can easily spin out of control. Our dogs frequent spas, are driven to daycare, wear couture clothes and drink distilled water from electric water fountains. They are cared for by holistic veterinarians, bark-it-out to dog psychics, relax to the scents of essential oils and sleep in our beds. Palate choices are endless – kibble and canned dog food are no longer the only games in town. Depending on what he or she enjoys nibbling on, you can order fresh, frozen, raw, air-dried or dehydrated. We, the baby boomers of society, initiated this trend, which financial experts believe will continue to grow in the pet industry. I believe it’s safe to say those baby boomers who either grew up with the constant companionship of a pet or, in my case, the dire desire for one, decided to kick it up a notch as adults. Cherished childhood memories or pet fantasies either begin or re-ignite in our golden years with the joy of a pet in our lives. Perhaps this is why as adults we’ve embraced our dogs (and cats) not as pets but as members of the family. There are days when I come home in the evenings with nothing left to give. Exhausted, I plop down in my family room – and one of my goldendoodles will crawl up next to me, and, in a matter of minutes, I’m revived, laughing and smiling. Instantly, I feel better both mentally and physically. It’s that feeling of pure joy; it’s everything I thought it would be; it’s something I choose not to live without.